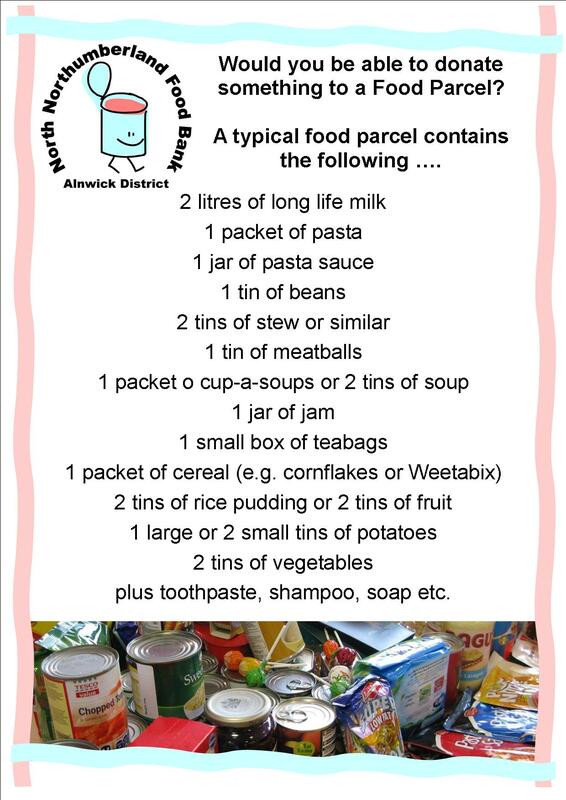 Please see the list below for details of what goes into a typical food parcel. To find out where you can donate food, please contact the Food Bank at alnwickdistrictfoodbank@gmail.com for details of local drop off points. Thank you for helping others in this way. Toiletries (particularly toilet rolls) and shampoo. Just look for the bin with the logo on.